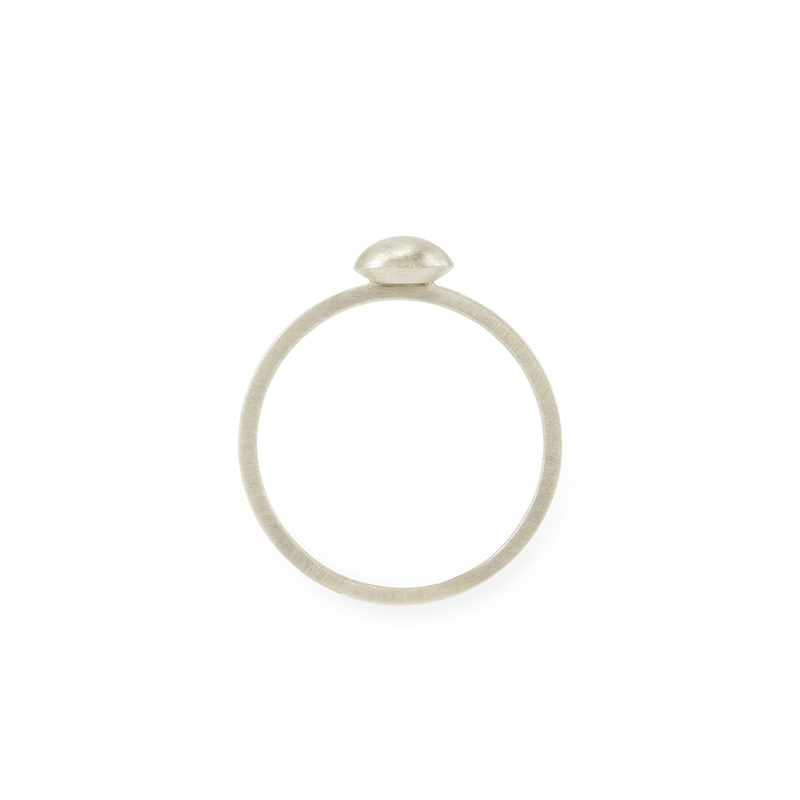 A dainty 6mm rounded dot sits atop a 1.2mm wide square band. 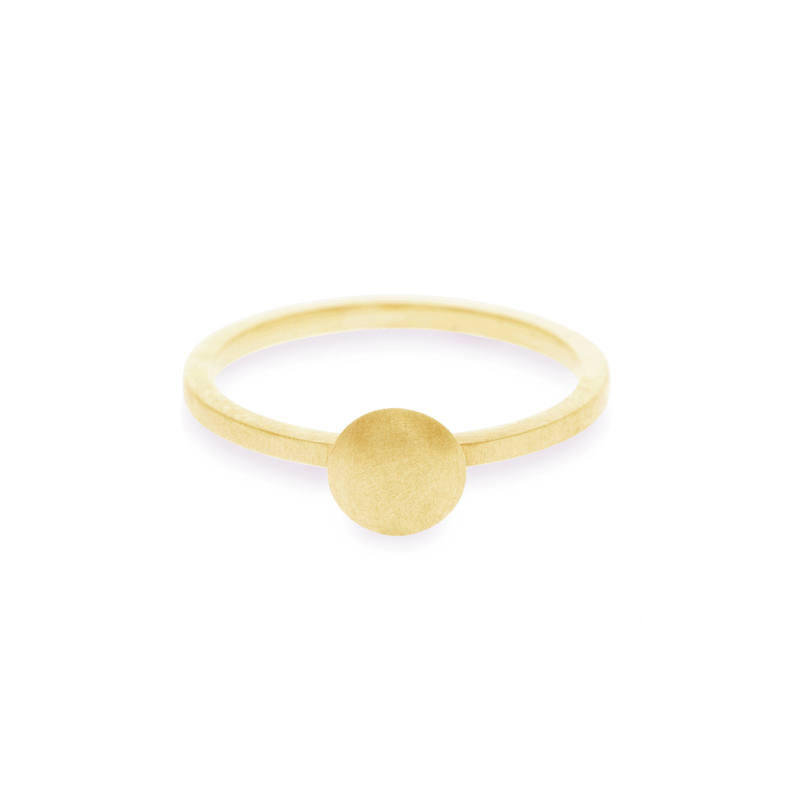 The simple shapes are complimented by a delicate matte finish. 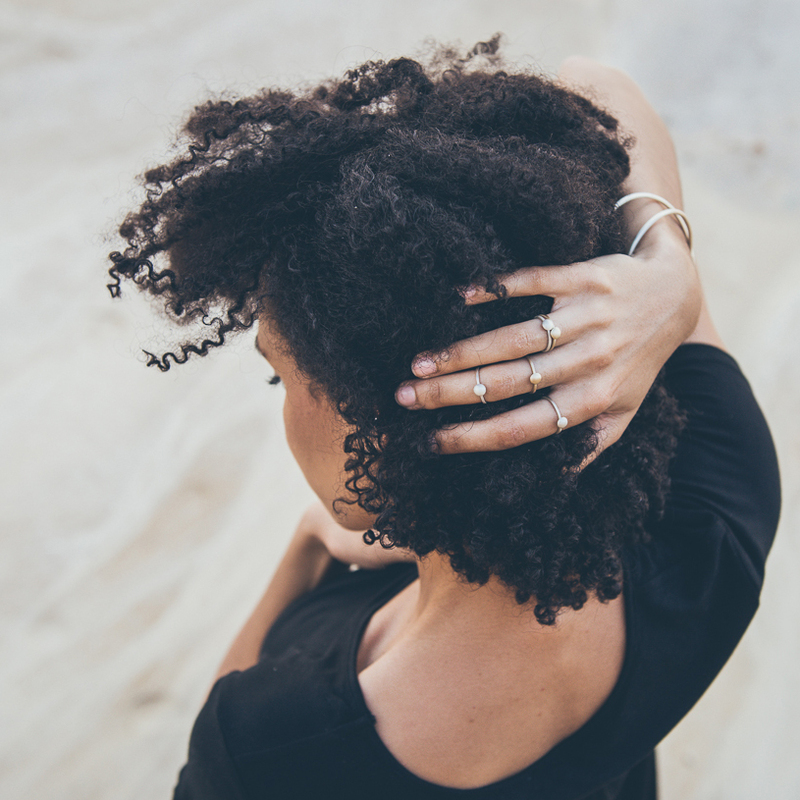 This ring is made to order, please allow up to ten days for manufacturing. Please specify the size you would like (H-R) in the comments section during checkout. 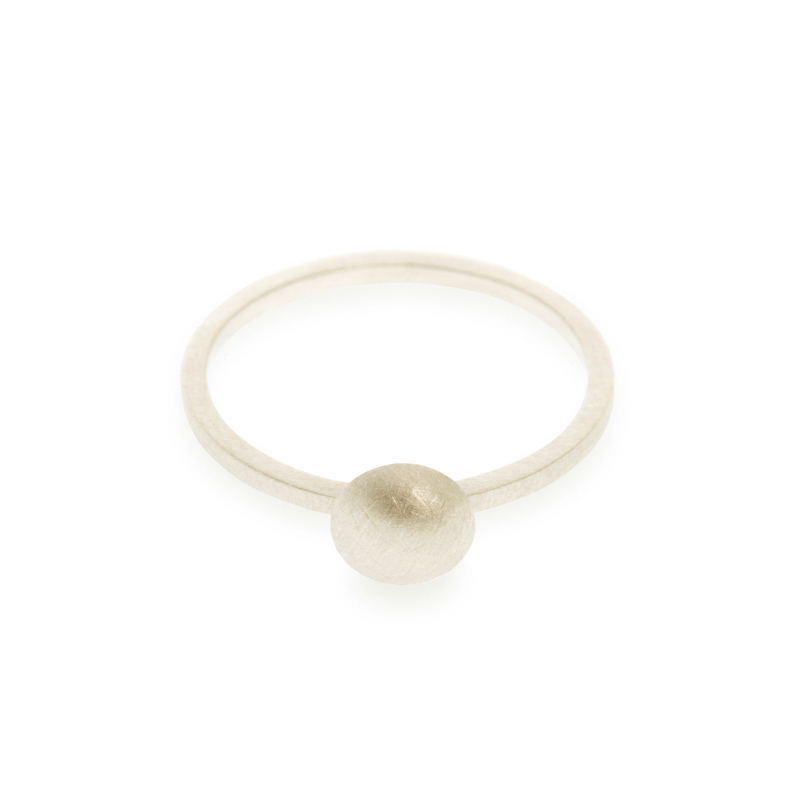 Notify me when Sterling Silver Dot Ring is available.